Feross Aboukhadijeh is a programmer, designer, teacher, and mad scientist. He is currently building WebTorrent, a streaming BitTorrent client for the browser, powered by WebRTC. Before that, he built PeerCDN, a peer-to-peer content delivery network that dramatically reduces bandwidth costs which was acquired by Yahoo in December 2013. 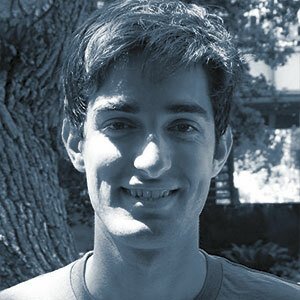 Feross is a graduate of Stanford University and has worked at Quora, Facebook, and Intel. In the past, he did research in the Stanford human-computer interaction and computer security labs. Feross enjoys working on "mad science" – projects that make people say, "Whoa! I didn't know that was possible!". Feross frequently wins hackathons by crafting code that gives the kids with spectacles spectacular fits, like his recent virtual reality piloting hack that lets you control a quadcopter with an Oculus Rift.